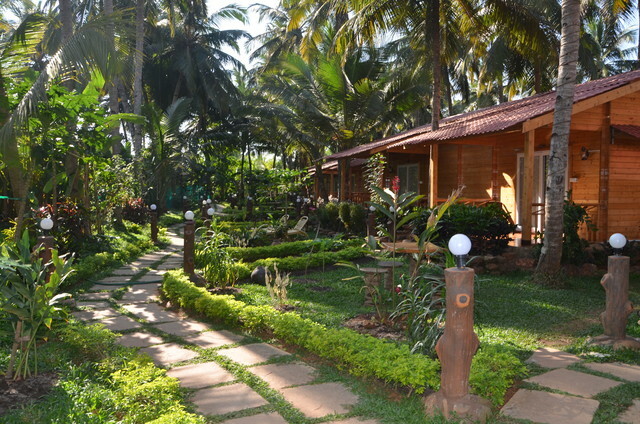 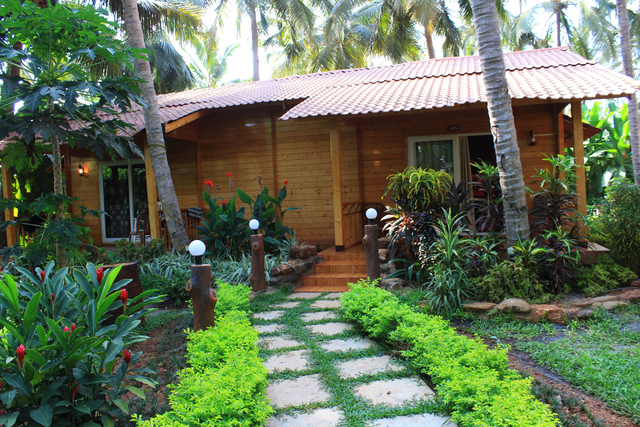 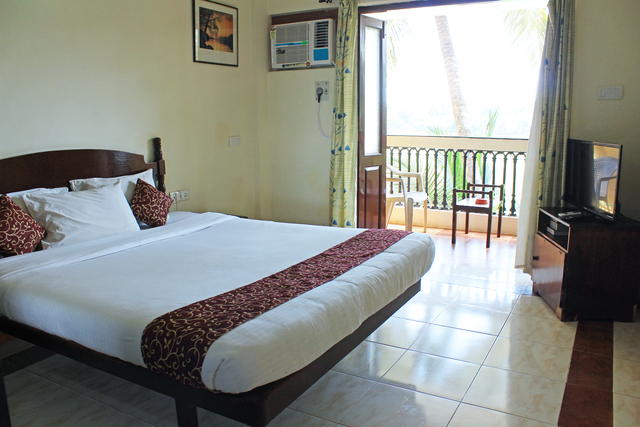 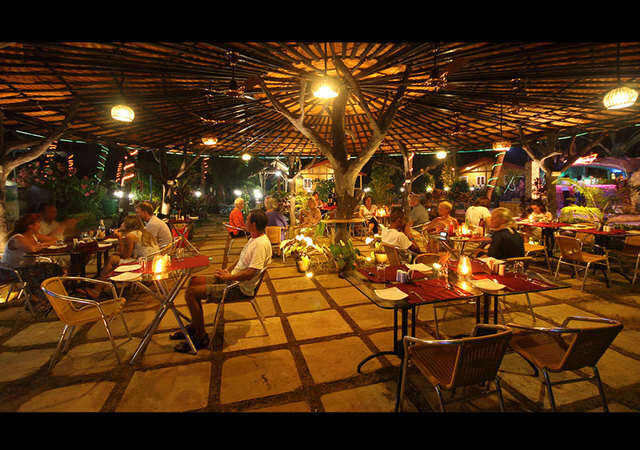 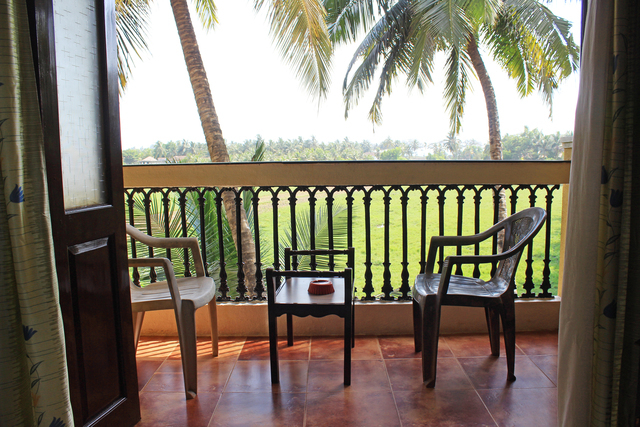 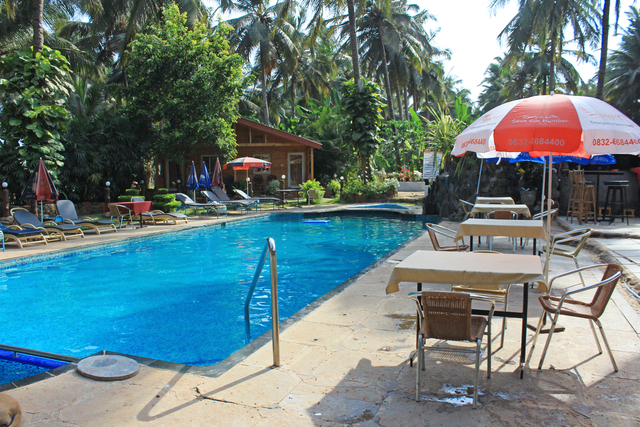 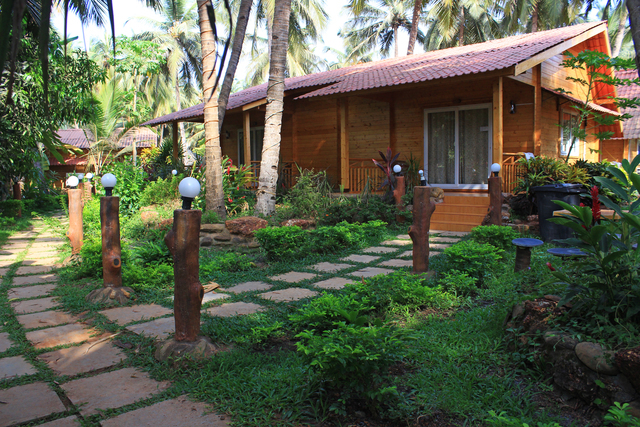 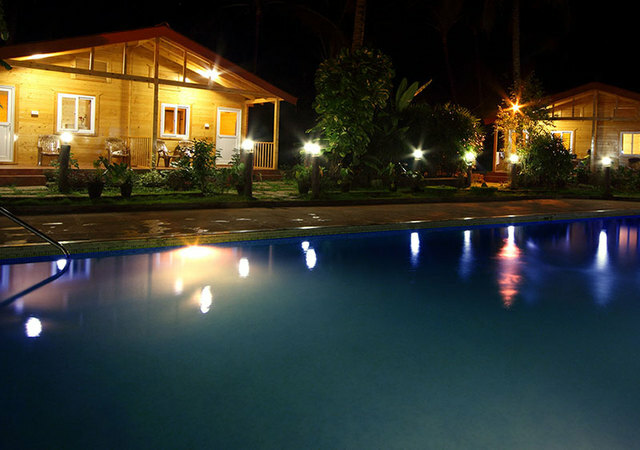 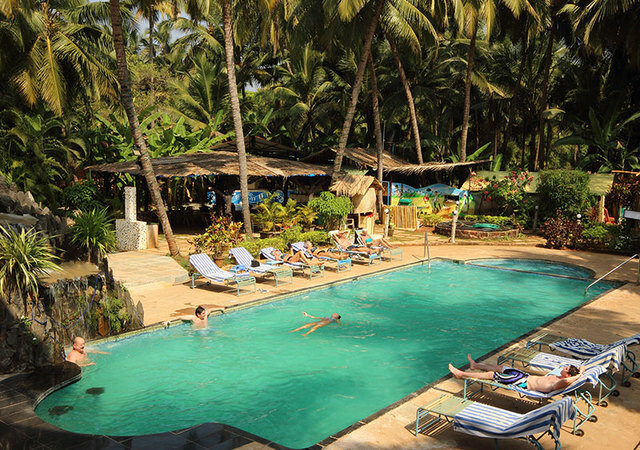 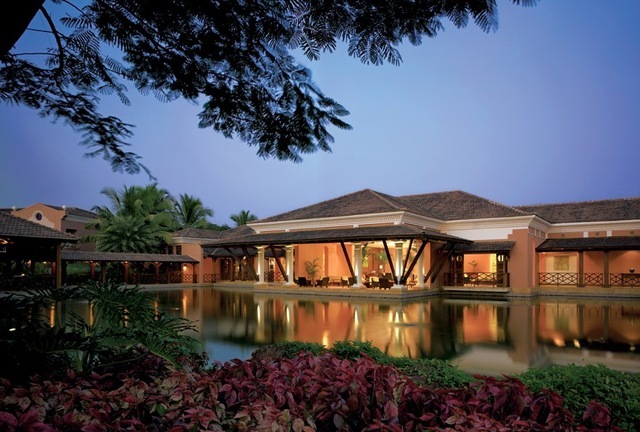 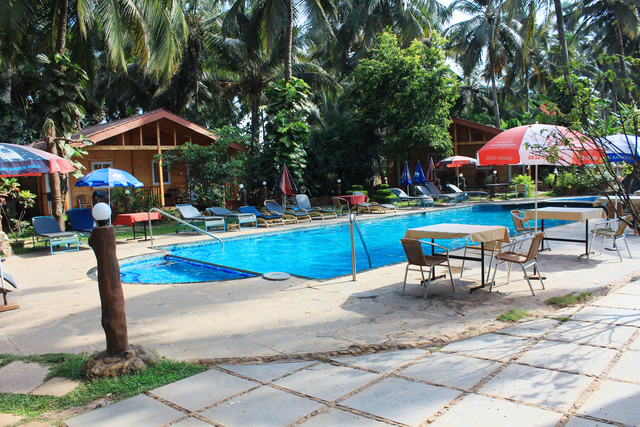 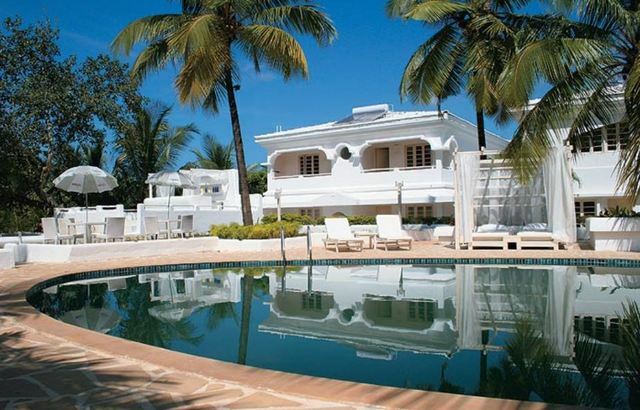 Set amidst coconut groves in South Goa peaceful Betalbatim village, Alagoa Resort is one of the idyllic resorts in Goa. 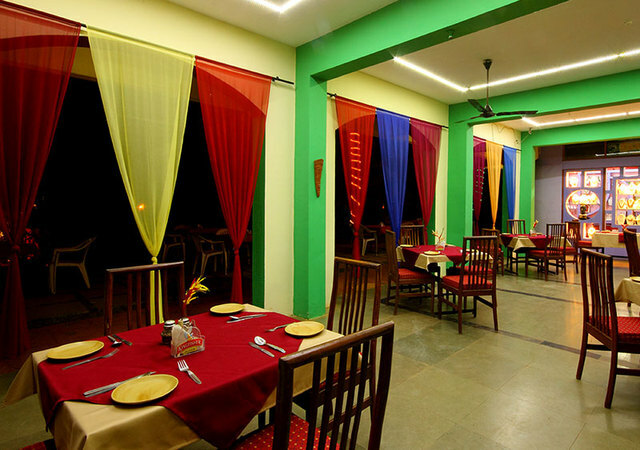 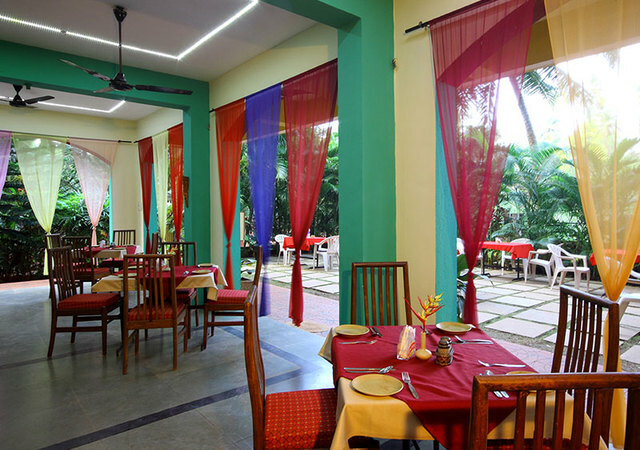 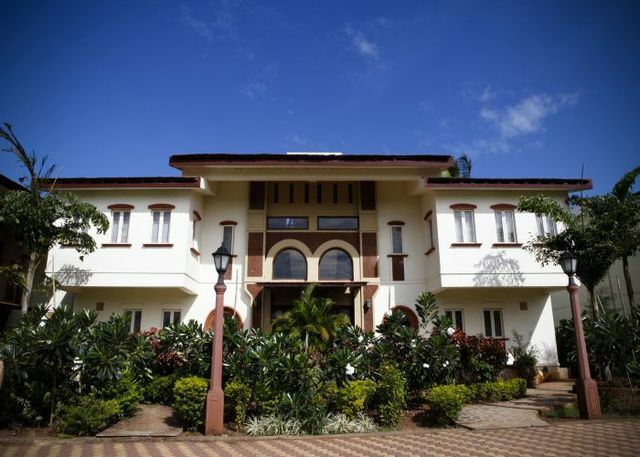 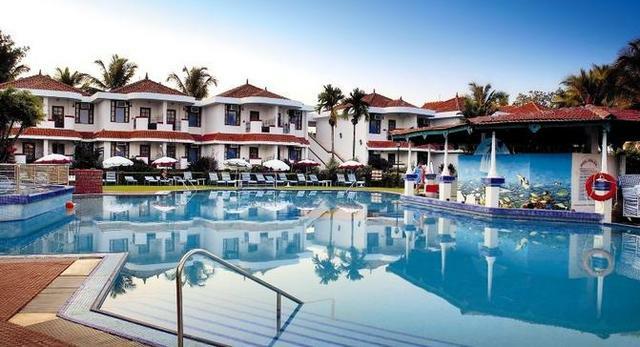 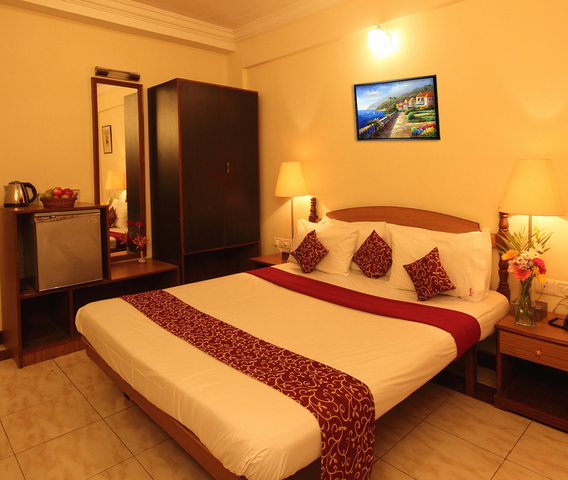 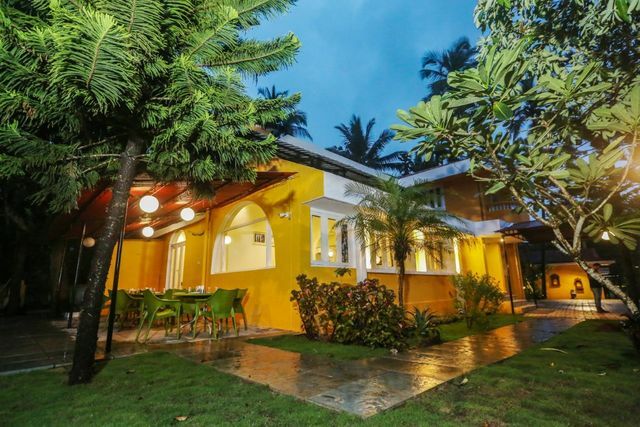 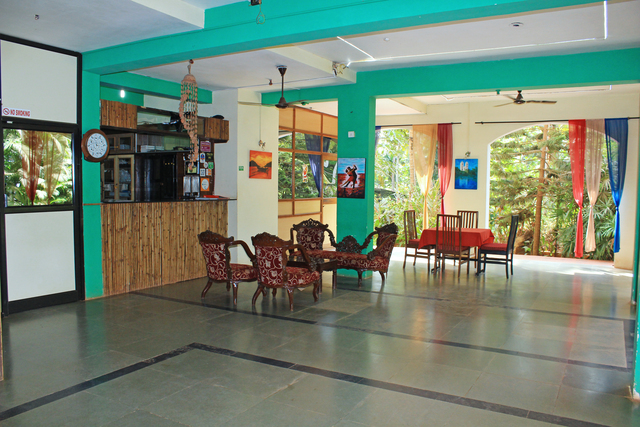 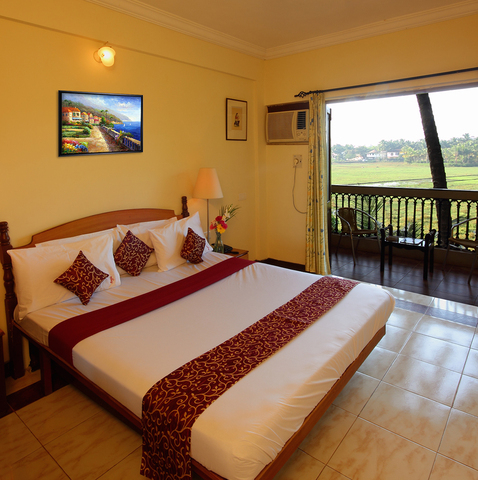 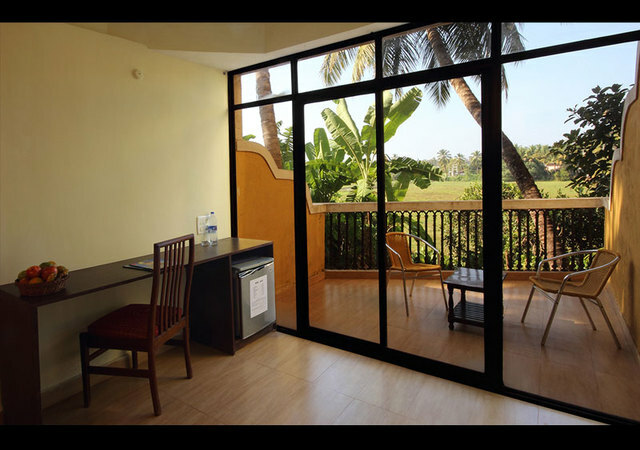 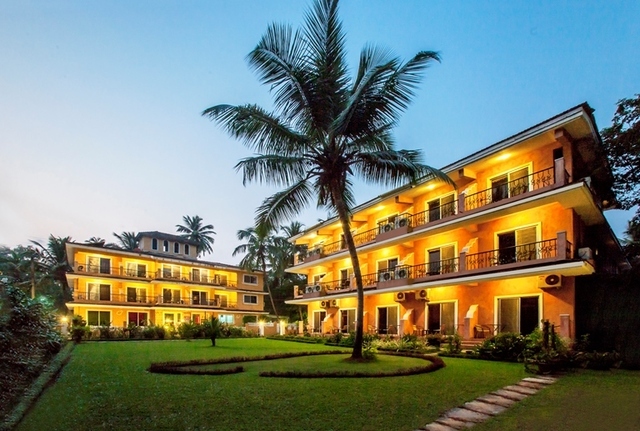 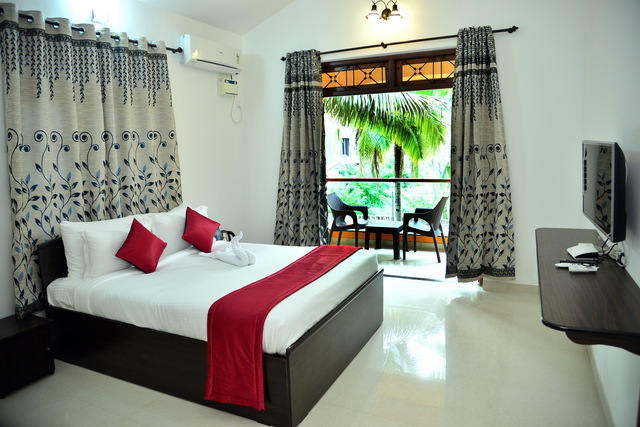 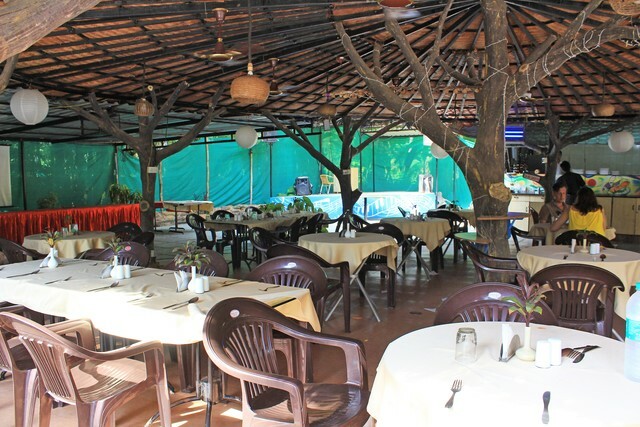 Offering an ideal spot for a family retreat, this 3-star resort in Goa is equipped with all the modern amenities and facilities that a traveller would desire. 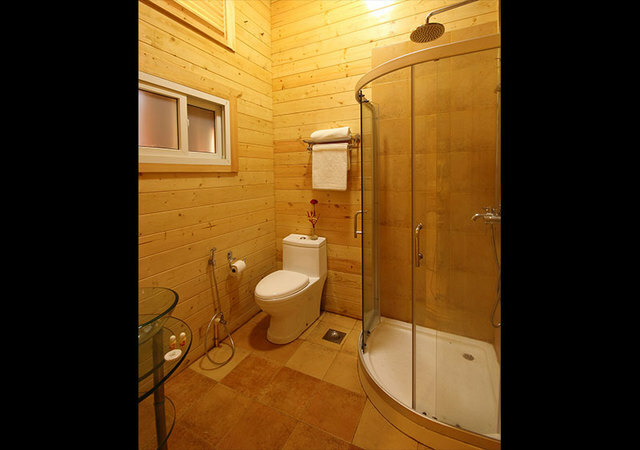 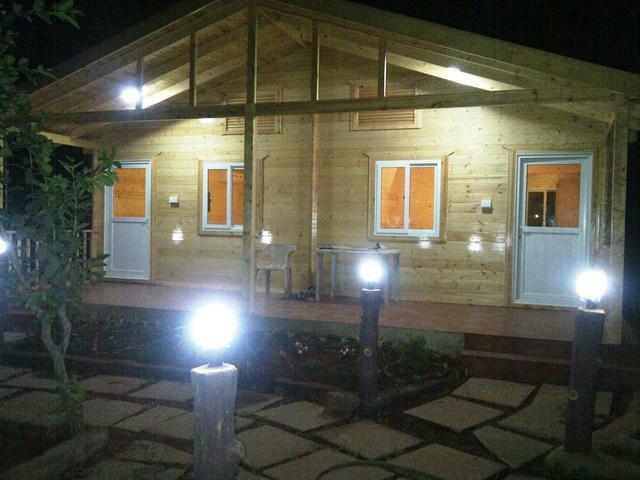 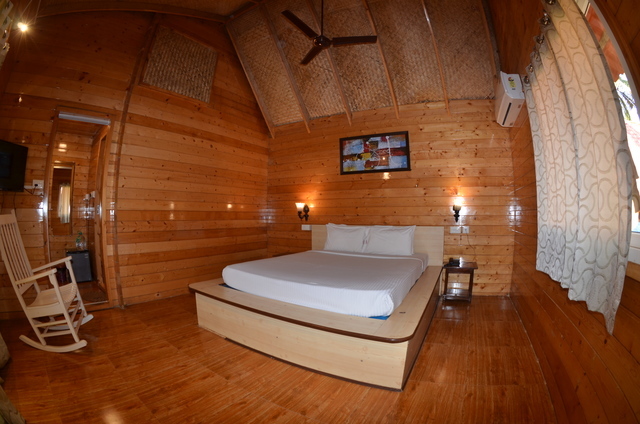 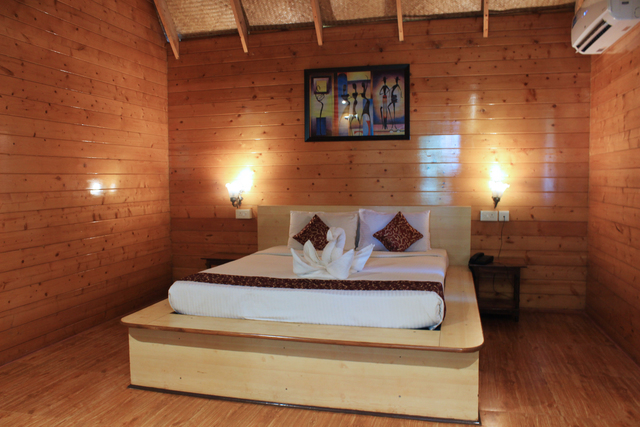 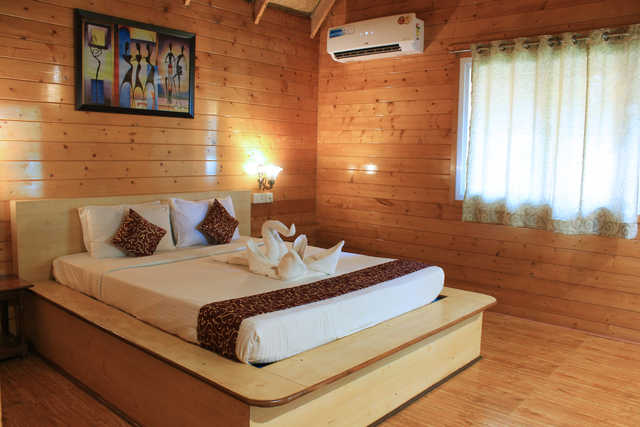 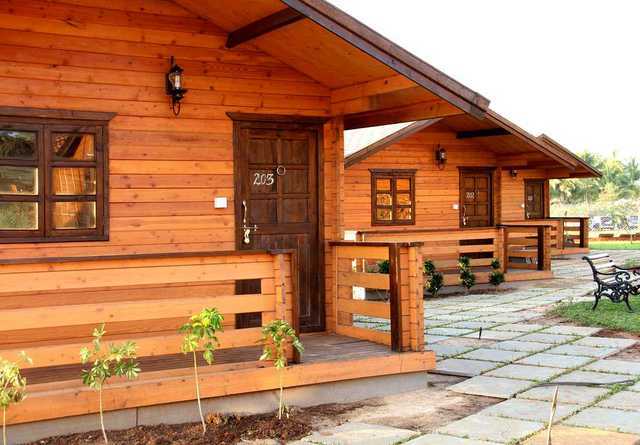 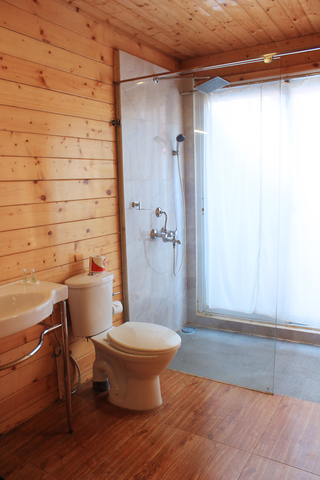 The resort houses 42 rooms featuring eco hut, deluxe and standard rooms. 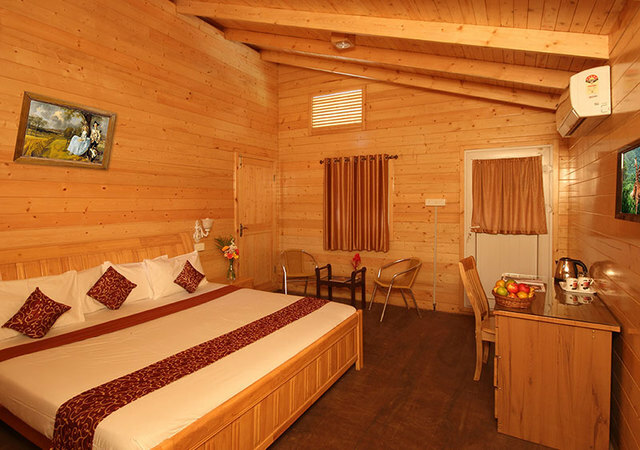 The huts come with features like a balcony overlooking the pool and greenery, writing table, a fridge, LCD TV, room service, attached bathroom with hot/cold water. 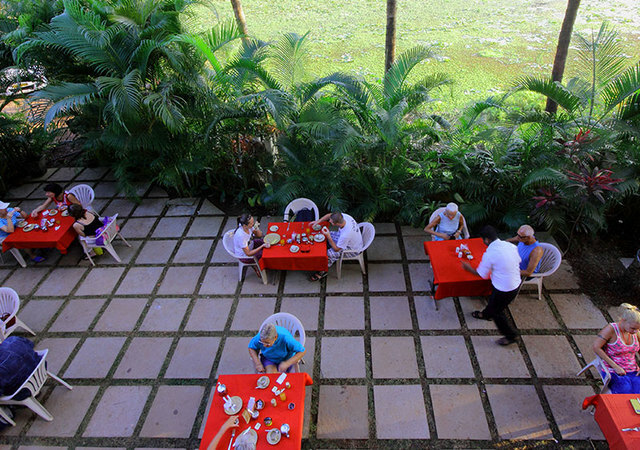 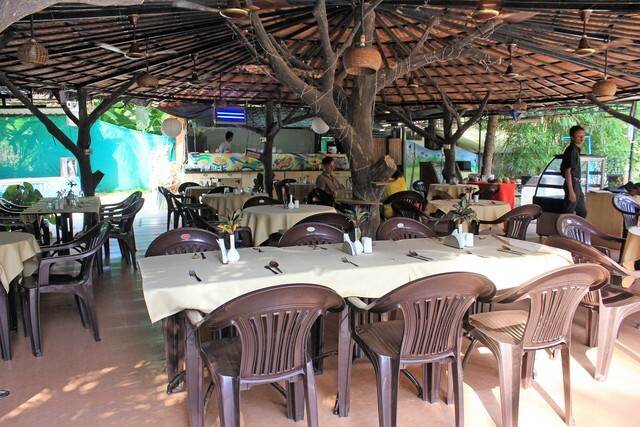 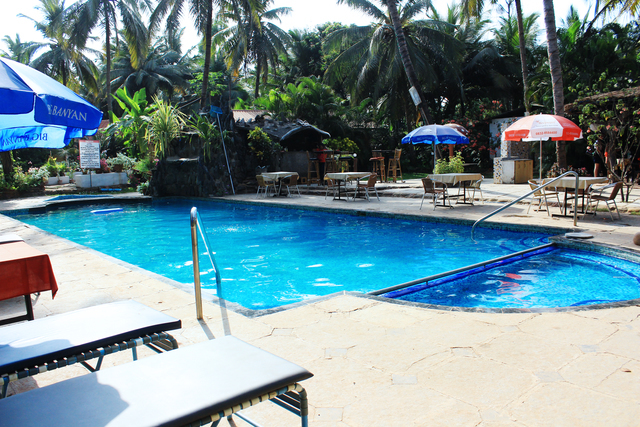 Also, the resort also has an on-site multi-cuisine poolside restaurant known as Amigueiro and an on-site bar that serves a range of cuisines and drinks to cater to guests with different tastes. 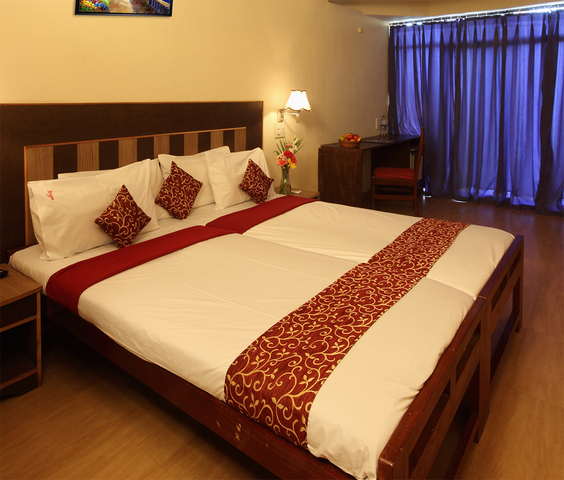 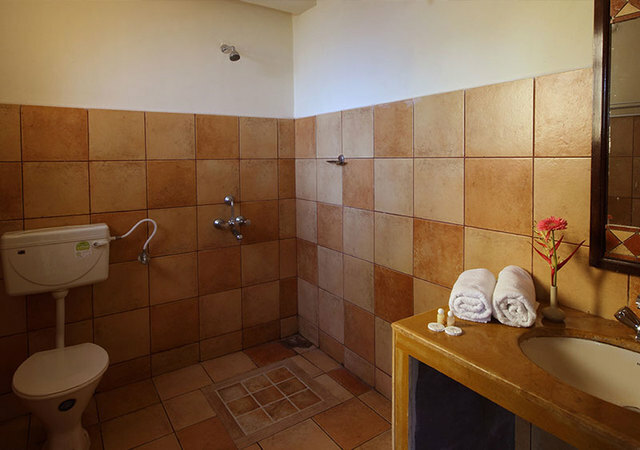 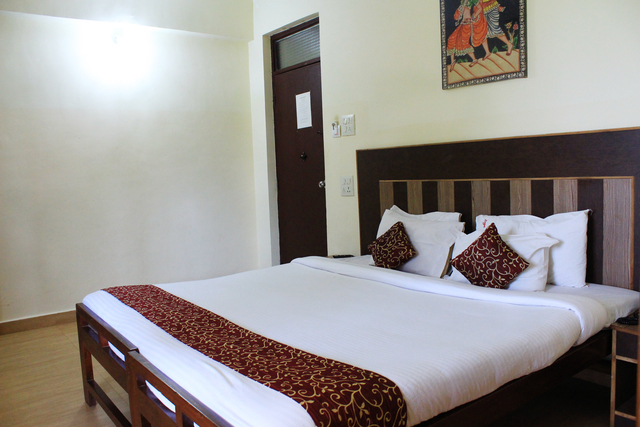 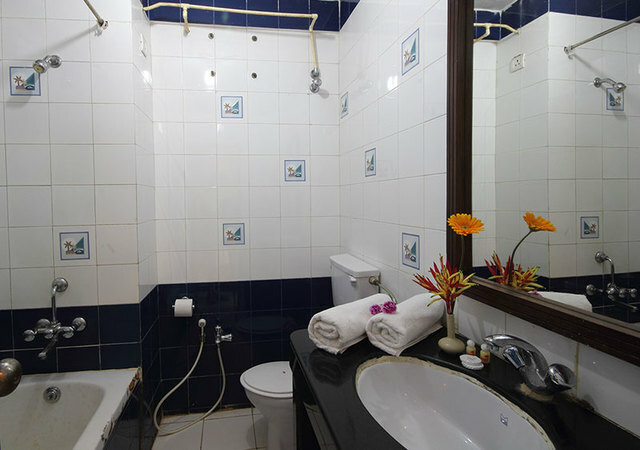 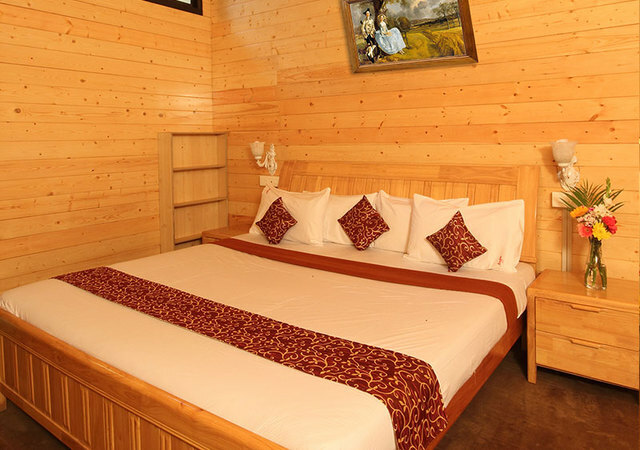 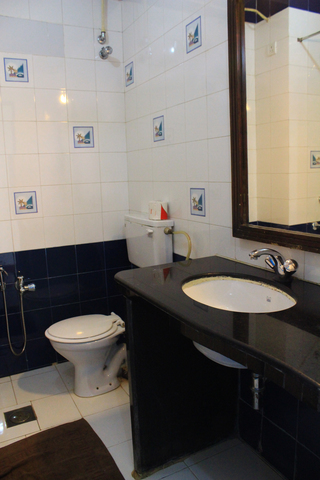 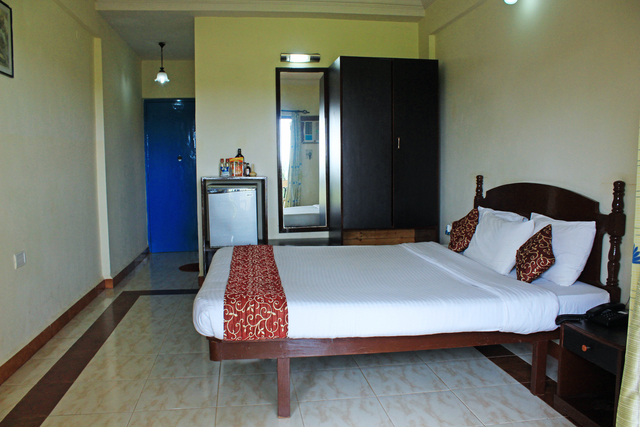 Moreover, guests can avail other facilities like laundry service, doctor on call, car and bike on hire and can also ask for an ayurvedic massage and therapy on-site. 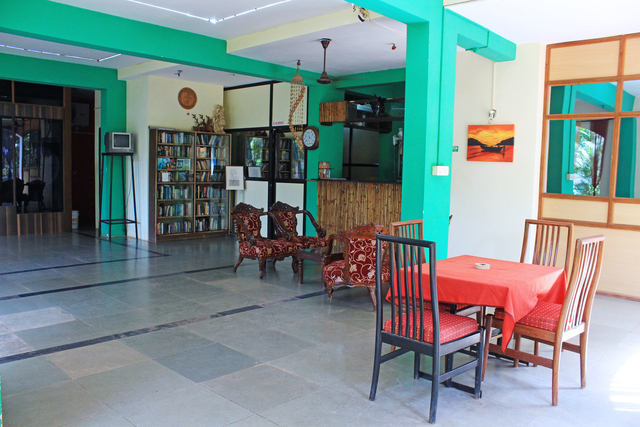 The Madgaon railway station is within 10 km, and the Goa airport is approx 19 km. 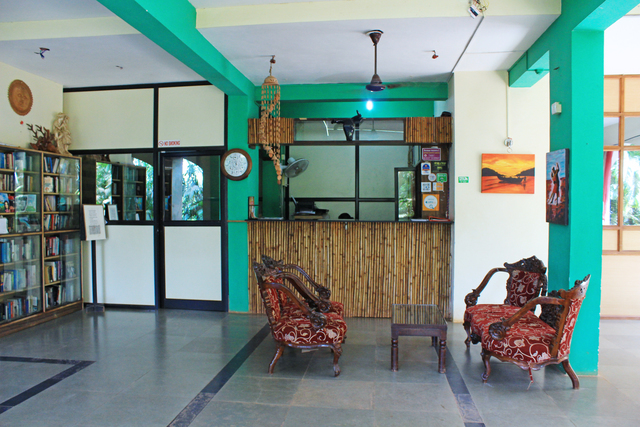 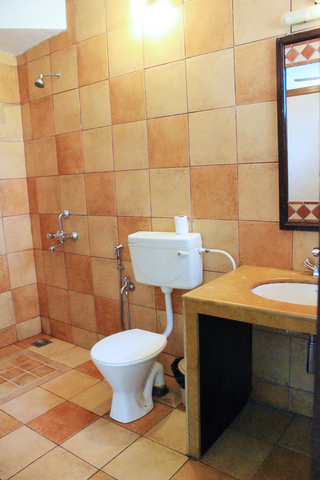 The hotel also has airport transfer facility for the guests. 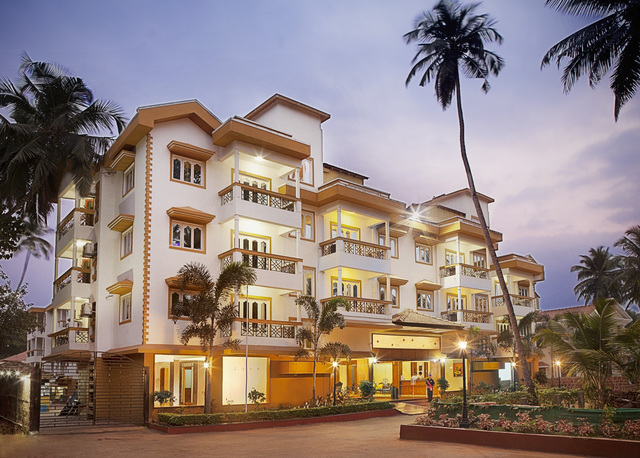 Those willing to travel by bus can catch one from Margao city bus stand situated about 8 km from this property. 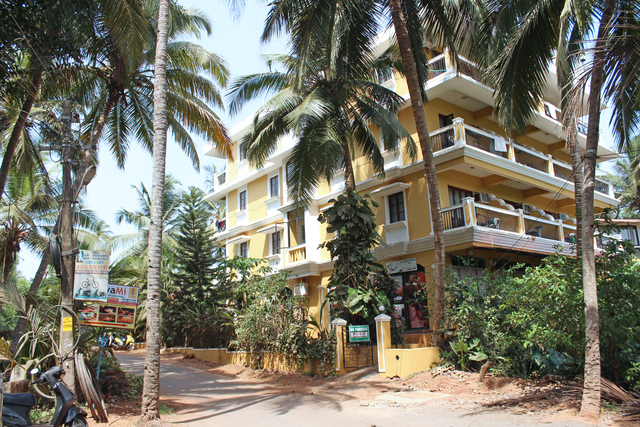 Ideal for compulsive shoppers, the Margao Municipal Market is one of the best experiences of street shopping in Goa. 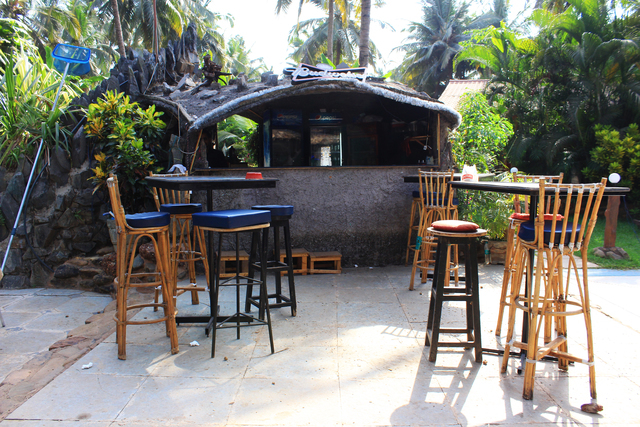 Do not miss the bargains at the Flea Markets in Anjuna, and Mapusa and the Night Markets in North Goa. 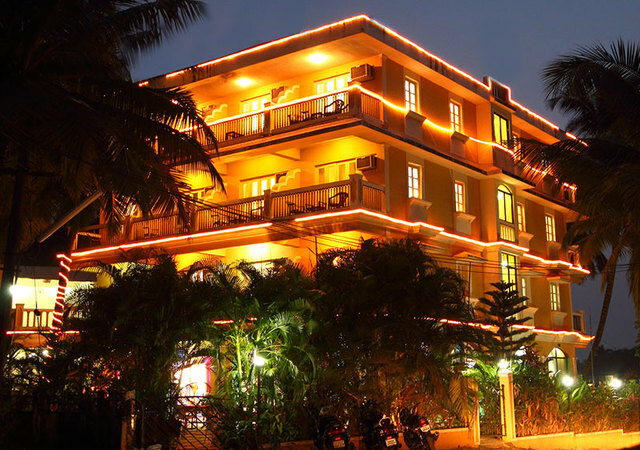 Pick up some souvenirs like jewellery, prayer flags, curio, bells, and chimes from the Tibetan Market near Baga Road. 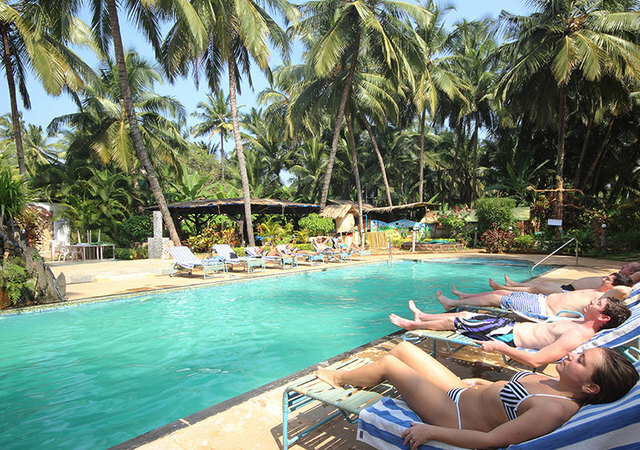 The colder months from November to March is the best time to visit Goa.